First published May 2013. Updated July 2017. 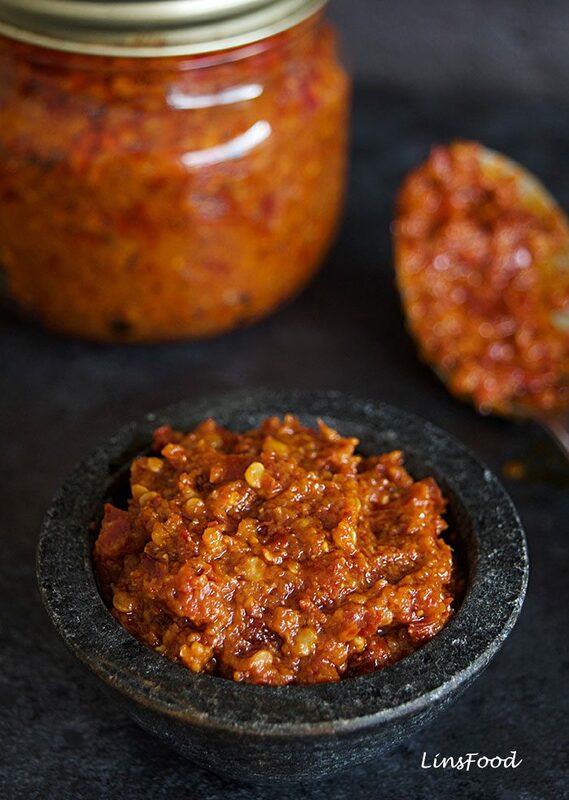 This homemade chilli (chili) paste is a very handy basic to have in your fridge. 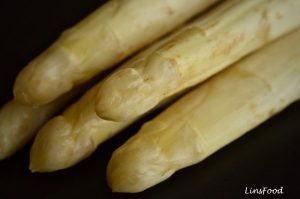 It is a staple in South East Asian kitchens and is used in so many different ways: as a condiment, a marinade and an all purpose cooking ingredient. 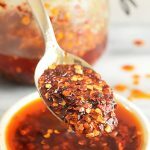 So many recipes in Asia call for a teaspoon of chilli paste here, a tablespoon there so, rather than grinding it up from scratch each time or substituting it with fresh chillies, make this paste up and keep it in the fridge. You’ll have the double benefit of a time-saving ingredient whenever you need it and your final dish will have a deeper, more well rounded flavour than when using fresh chillies. 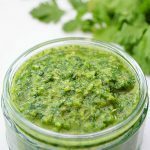 When I first wrote this recipe back in 2013, I gave you the recipe for the long and slow cooking paste, as I’ve always made it. But over the years, I’ve had so many requests for a quicker paste and using fresh chillies that you now get 2 recipes for the price of 1 when you visit this page, a quick version and a low and slow! is a speedy one that we cook for the briefest of times, using dried or fresh chillies, resulting in a light flavour and aroma, retaining much of the freshness of the chilies, garlic and onion used, with a hint of sweetness from the onion. is indispensable in my kitchen. The key to this second homemade chilli paste is in the frying of the paste. In Malay, we call this tumis and the longer the cooking time, or the tumis time, the deeper the aroma and flavour, and the darker the colour. For this second version, you want to cook for a minimum of 1 hour; I like to go for an hour and a half to two, if I have the time. You can use either fresh red chillies or dried ones in this second paste. Dried chillies will always give you a deeper aroma and flavour, however, as we are cooking for a long time here, that doesn’t really matter. In this long cooking one, the pot you cook it in makes a difference to how dry your paste will be. In a wok, given the wider nature of the cooking pot, your chilli paste will dry up quicker and will most likely need more water. 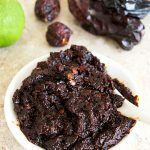 It is a pretty spicy paste, so when using this homemade chilli paste in another recipe, a small amount goes a long way. I love making a large batch and storing it in a sterilized jar (straight out of a hot dishwasher will do) for easily up to 2 weeks. And guess what? It makes the perfect gift for a foodie friend. Fresh chillies – use whatever variety you fancy, as long as they are red, for a red chilli paste. 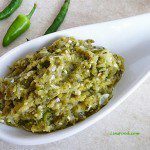 For a green chilli paste or sambal, take a look at the gallery below. 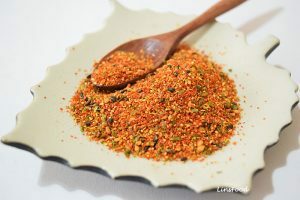 Dried chillies – this recipe started out life as how to make chilli paste from dried chillies! So, use what you fancy, as long as they are not the smoky type like chipotle. Smoked dried chillies have their own place, like in the Chipotle Paste. Candlenuts (in the second paste) are a cooking ingredient in some parts of South East Asia, to enrich and thicken dishes. Click here to read more. I can only get them online, so am happy to use macadamia nuts which are an almost perfect substitute. Failing that, a smaller number of cashew nuts will do just as well. You could do away with the nuts completely if you like, you will still get a deep flavour from the long cooking of the second paste. 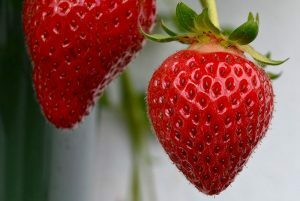 TIP: A chopper, blender or food processor is a must for this as all the ingredients are processed together, then fried. 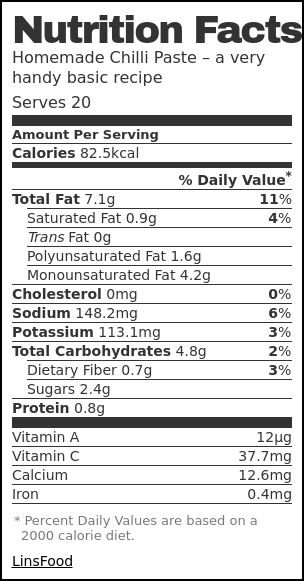 Nutritional Information below is based on Chilli Paste 2. 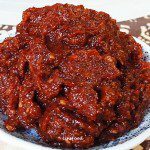 Want to know how to make Red Chili Paste? 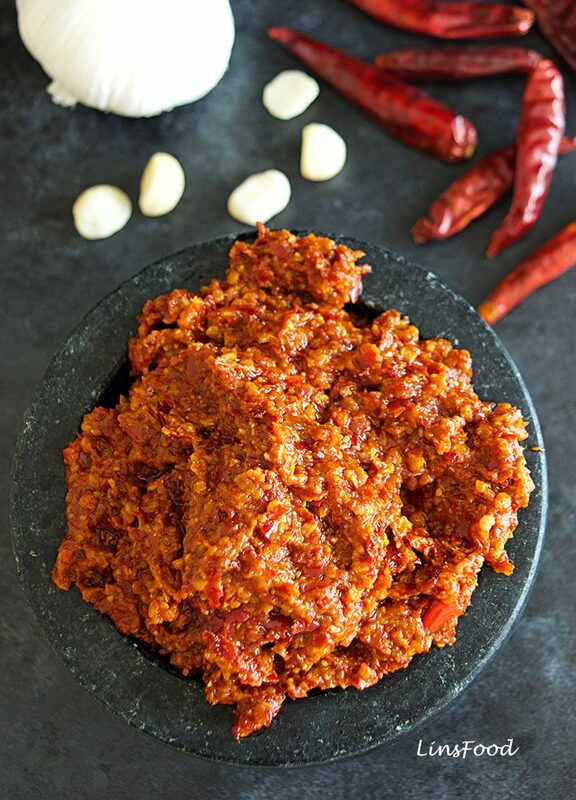 Easy, authentic recipe for homemade chilli paste, an all purpose spicy paste. If you are using fresh chillies, go straight to step 3. Put half a kettle on and then start by cutting the red chillies in 2-3 pieces with a pair of kitchen scissors, depending on the size of the chillies. Pour your just off the boil water onto the cut chillies, cover, and soak for 20 minutes. Place the chillies, onion and garlic in a chopper and chop to a fine paste. Heat the oil in a deep wok or saucepan, then add the ground ingredients, the salt and the sugar. Fry on medium heat for 5 minutes, uncovered, stirring occasionally. It's done. Let cool, then store for up to 2 weeks in the fridge. In the meantime, peel and quarter the onions, and peel the garlic. Drain the chillies and place everything apart from the oil, in a blender/food processor . Heat the oil in a deep wok or saucepan, then fry the chilli paste on medium heat initially for about 3 minutes until fragrant. Lower the heat and cook for an hour, uncovered, stirring every 15 minutes or so. In the last 15 minutes, you might have to stir a couple of times more, as the chilli paste starts to dry up. Let it cool to room temperature and store in a clean jar in the fridge; it will last up to 2 weeks in the fridge. You can even freeze until needed, in ice cube trays would be perfect, as you can use a little at a time as needed. Time and portions given here are for Chilli Paste 1. If you cook your chilli paste in a wok, as I sometimes do, you'll probably need more water, given the wide, shallower and open nature of your wok. How can I “tweak” the recipe so that I can store it for a longer period? 1. Sterilise the jars, lids and seals. 2. Make sure the lid and seal are completely dry. I do this in the oven. 3. Fill the jars and seal tightly. 4. Bring a pan of water to boil, and place the sealed jars in the boiling water, completely submerged. 5. Boil for 10 minutes, then leave them in the hot water for 5 minutes more after turning the heat off. The chilli paste should be perfectly fine for 3-6 months. 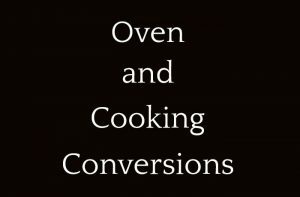 Turn the oven on to a cool 130˚C/250˚F/Gas Mark ½.
Wash the jars and lids in hot soapy water. Place the jars and lids upside down in the oven and leave them to dry, with the door closed for 15 minutes. Leave the jars and lids in there, bring them out only when you are ready to fill. Be careful, as they’ll be hot. We have a lot of cayenne chillies that we have just picked off the plants in the greenhouse. They are fairly dried. Are these a suitable chilli and I don’t think we would use all the paste in 2 weeks. Are both recipes suitable for freezing, perhaps in ice cube trays? Hi Karen, yes, cayenne are perfect, as you get the flavour and just the right amount of heat level. You can freeze both pastes, but be sure to cover the trays to prevent freezer burn. I use regular clingfilm. Thanks Azlin, I made both the pastes with the red chillies from the garden. I use the fresher one for cooking and the other one for eating. Really, really good. I am going to look at your other pastes now, cheers. Cool, thanks for letting me know. I’m glad you like the recipe. I hope you find something else to make too! Hi Azlin, just wanted to let you know that we made this yesterday with fresh chillies from the garden. It really is amazing. I mixed it with some mayo for our sandwiches, and you are right, really delicious. We are planning to make some noodles with it today, and I would really like to try that prawn dish of yours. thank you! Thank you, Amber. I’m glad you are enjoying the chilli paste. Let me know how the other dishes go! Looking at the nutricnal labal there is no warning to the use of NUTS. Thanks Rod, not something I’ve thought about. I’ll pass the information on to the guys who create the nutritional info and see what they can do about that. Thank you, I just made a big batch of this and am looking forward to using it in recipes in the coming week. It smells really good! That’s great, Chris. Let me know how you use it! Hey Matt, thanks for trying the recipe, and letting me know about it. It looks perfect! Thanks, this is really great. Just got a whole lot of dried chillies from the wholesale place and got carried away! I’ll be making this over the weekend, definitely. Thank you Steve, how did it go? 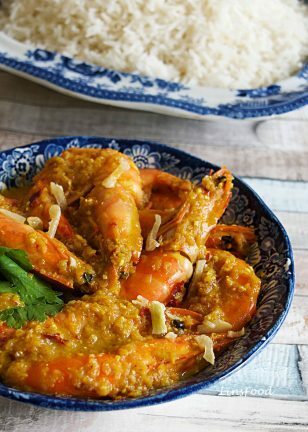 I love South East Asian food and this is just the sort of recipe I need in my fridge! Thank you, off to buy a bag of dried chillies tomorrow! Thank you for this recipe. I do remember it from when you only had the dried chili peppers on there! I’m really pleased to be able to use our chili harvest for this. And you other chili recipes are great too. Planning to try them all out slowly! Thank you John, I’m glad you are enjoying the chilli recipes. Thanks for the recipe, I made version 2 long cook method with Haberno Chillies , it is a fiery paste! I would like to store the paste for longer than a couple of weeks, will the paste be able to be preserved by bottling in sterilised jars , and stored till required, out of the fridge. Hi Garry, with habanero – I’m not surprised! Thanks for your question. I’ve tried to preserve this using that simple method and have never been successful. Even when I add a good layer of oil over it, sometime during week 2-3, I’ll find mould in the jar. The only thing that has worked is adding half a cup (125ml) of vinegar to the recipe, then once the jars are all packed, to give them a water bath. As the recipe stands, because of its low acid content, only pressure canning will do. This is really fantastic! I remember my mum having something very similar that she would use for everything. Thanks for the recipe, I plan to make it this weekend. Thank you Carol, my granny was the same, and now we are! Thanks a lot for the nutrition information but it looks like there may be an error: 450 servings at 1 gram per serving seems like an awfully small amount to measure, but regardless of the serving size I think the calories listed (206.4) must be for the whole batch, surely not per serving. If 206.4 kcal is for the whole batch then 1 gram would have 0.45 kcal, and that works out to around 6.42 kcal per Tbsp or 2.14 kcal per tsp @ 28 grams per ounce. What volume of milliliters do you get from each version? Obviously the short cook will be larger and the long cook one will be dryer and smaller. Hi Melanie, thanks for your feedback and questions. The nutritional info was for the whole batch, I hadn’t noticed the 450 for servings. I’ve changed that into 20 servings, temporarily. As they are both fairly thick pastes, weight was always the easier measurement. The water in paste 1 is optional, and the amount also does depend on the chillies. On my list of things to do is to redo both recipes with step by step pics, as requested by some readers. I shall also do a ml measurement for both and most likely, do Tbsp serving counts for the nutritional info. Hopefully, that will be done sometime next week, as I’m just about to start filming a 5-recipe chilli course. Wow, I really love this recipe. Have so many dried chillies from last summer. I wonder if you could do some step by step pictures and perhaps more recipes that I can use this paste in? Thank you. Hi David, I’m glad you do, it’s a much loved recipe from my childhood. You’re not the first person to ask. I will get on the step by step pics soon, and yes, I will certainly suggest more recipes that use this recipe. Wow, this is simply amazing! I’ve been looking at a few different types of pastes and yours sounds so rich, despite the few ingredients. I like the long cooking idea. Thank you Nigel, yes the longer you cook it, the deeper the flavour. Thank you for this wonderful recipe. I have a lot of fresh chili peppers growing. Can I use fresh ones to make this paste? Hi John, yes, you definitely can, if you are going for a short cooking time, that’ll have a very raw taste and smell, so will be perfect as a cooking ingredient. 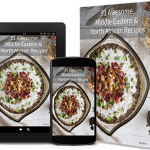 Great chili paste recipe, Azlin! I was looking for a good one and yours is the sort I remember from my mum’s kitchen in Malaysia! Thank you. Got some chili kering this morning, planning to make it tomorrow. That’s great, how did it go? This is a really interesting recipe. 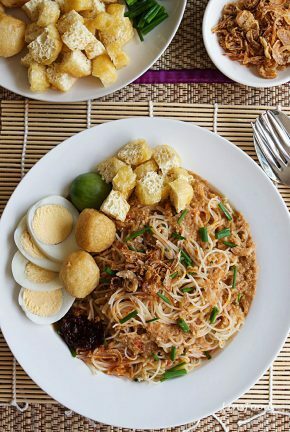 I will be trying it very soon as I like food from South East Asia. I love this chili paste recipe. Your instructions are easy to follow and I like that you give us 2 options. I just made it this morning with the first of my chili peppers, and it smells awesome! Well, that’s really great, thank you for telling me and I hope you find lots of uses for it! I need to make this paste so that I can have a quick chili fix whenever I want it! You’ll be thankful you did! Thank you Lisa! 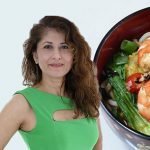 This recipe sounds looks and sounds delicious, and the best part is that it’s spicy and hot! Thanks for sharing Azlin! This is a great way to use up our chili crop this summer! Looks delish! So tasty sounding! I like spicy – this sounds like the perfect way to keep a bit of spice around to liven up our food. We love it, thank you Ali! Thank you so much, we love it too! I can think of a million applications for this useful recipe. I’d love the longer cooking option to get the most concentrated flavors. Yes, same here, I much prefer the longer cooking one too. Just making some chilipaste from your recipe and it smells wonderful! Should I keep the lid on when cooking for an hour or not? 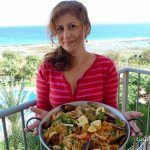 Hi Anna-Karin, I’m sorry I didn’t read this while you were cooking it! The chilli paste is simmered uncovered. I’ll add that to the instructions, thanks. Wow, that’s some very hot chillies you’ve got there! We had the Dorset Naga and White Jolokia last year, can’t wait for summer! I would love to hear how you get on with making your chilli paste and how you plan to use it, given its heat rating! Wow! Looks so flavorful and love how thick it is. I will never think of adding nuts to chilli paste but I guess this would thicken the sauce. Interesting! It does thicken it Balvinder. Candlenuts are a staple in South East Asian Cuisine. I never thought in making chili sauce…looks very flavorful Lin. I really love all kinds of chilli paste and always have some store bought in the fridge. Looking at your recipe, it’s so easy to make, and I have all the ingredients already.